Bangalore (IANS): When technician Narasimha Murthy, a glass blower in the Department of Atomic Energy (DAE), developed a major heart problem, its then chairman Homi Bhabha arranged to fly him to the United States to receive medical care - all at government expense. And when Bhabha saw a gardener in the DAE's Trombay campus walking with a limp, he stopped his car, gave him a lift, and instructed his staff that he was to be looked after. A collection of reminiscences by Bhabha's close associates brought out by the Indian Physics Association (IPA) on his birth centenary year shows that the father of India's atomic energy programme was not just a visionary scientist and an institution builder but also a great human being. "Examples of sensitive and human approach in his dealing with even the lowest paid employees are numerous," said Vasudeva Iya, who was in charge of DAE's isotope programme and one of Bhabha's hand-picked scientists. Padmanaba Krishnagopala Iyengar, who later became DAE secretary, agreed with Iya. When DAE administrators, citing service rules, denied travel money for a junior scientist to present a paper at a conference abroad, Bhabha admonished the bureaucrats and reversed the decision, recollected Iyengar, who knew Bhabha from 1953 till his tragic death. Bhabha died on Jan 24, 1966, in an air crash while he was on his way to attend an International Atomic Energy Agency (IAEA) meeting in Vienna. The cause of the crash remains a mystery. "If he had not perished in the air crash, we would have quite a different India today," said Devendra Lal, a renowned geophysicist who rejected a faculty job in the US to join Bhabha's team in 1960. In a way, World War II was responsible for the strides India has made today in the field of atomic energy. Bhabha, who came to India on a brief holiday in 1939, could not return to England as war had broken out. So he decided to stay back in India till the war was over. "That decision turned out to be a turning point not only in the academic career of Bhabha but also for the advancement Indian science and technology in the post independence era," writes Badanaval Venkata Sreekantan, a cosmic ray physicist who joined Bhabha in 1948. Bhabha's five-year stint from 1939 at the Indian Institute of Science here changed his plans to return to Britain. "I have come to the view that provided proper appreciation and financial support are forthcoming, it is one's duty to stay in one's own country and build up schools comparable with those that other countries are fortunate in possessing," Bhabha wrote in his famous March 12, 1944, letter to the Tata Trust for funds to start a new institute. From then on, Bhabha passionately took on the task to transform Indian science, says Lal. "Bhabha sacrificed his personal scientific career to spend most of his time to grow science and technology in India," Lal said. "Bhabha's stamp is visible everywhere.... He realised most of what he dreamed between 1939 and 1965 but was not alive to watch them grow." He set up the Tata Institute of Fundamental Research (TIFR) with support from the Tatas, and convinced then prime minister Jawaharlal Nehru to create the DAE, both of which he managed admirably till his death. The Tata memorial centre in Bombay (now Mumbai), the radio astronomy centre in Ooty and the training school in Bombay were all due to his farsightedness, says Malur Ramaswamy Srinivasan, Bhabha's close associate and former DAE secretary. Bhabha was also largely responsible for the introduction of the space programme through the setting up of the Indian national committee for space research under the chairmanship of Vikram Sarabhai, said Srinivasan. Former DAE physicist Ganesan Venkartaraman says that being a visionary, Bhabha promoted everything from computers to vacuum technology, ignoring criticism from "some narrow minded scientists" who questioned the propriety of DAE wanting to do everything. Renowned geneticist Obaid Siddiqui recalls that although the 1962 Indo-China war had broken out and emergency economic measures had been announced, Bhabha encouraged him to start the molecular biology programme at TIFR using the money the institute saved from expenses on water and electricity. That programme has now evolved into full-fledged National Centre for Biological Sciences in Bangalore. Bhabha's style of management was another thing that endeared him to scientists. "He did not believe in micromanagement. He selected able persons to lead and left them alone," said Lal. One advice of Bhabha that Lal cherishes most: "Never give an important task to one who has nothing to do. Give it to a busy person who will find time to do it." "Bhabha freed DAE from bureaucracy while scientists outside DAE are still fighting this battle to be freed from stifling bureaucratic controls," said Venkataraman. "Goku" (M.G.K) Menon vividly recalls his last meeting with Bhabha "to talk about some important matters" a day before his tragic death. The important matter was that Indira Gandhi - selected to become prime minister only four days earlier - had asked Bhabha to be ready to move to Delhi "to assist her in all matters related to science and technology" with a rank equivalent to a cabinet minister. Before embarking on his fateful journey to Vienna, Bhabha told Menon that on his return, he planned to propose Menon to be director of TIFR. "Everyone thought I got the responsibility because of his death," Menon wrote, adding this was not the case. "Had he returned from his trip to Vienna he would have anointed me his successor as director of TIFR." Bhabha's widely quoted remark "no power is as expensive as no power" at the third UN conference on peaceful uses of atomic energy in Geneva in September 1964 registered with many from underdeveloped countries aspiring to tame nuclear energy. "Icons like Bhabha appear only rarely," said Bikash Sinha, director of DAE's cyclotron project in Kolkata. Nobel Laureate Chandrasekhar Venkataraman described Bhabha as the modern equivalent of Leonardo da Vinci. Bhabha was so concerned about his scientists that he did not want them to travel abroad in the same flight since, "in case the plane crashed, it would be a big loss to TIFR", says Lal. "Ironically, and very sadly, we lost him in a plane crash." University of North Dakota graduate student Vishnu Reddy recently received an official okay from the International Astronomical Union to name an asteroid he discovered "North Dakota." Asteroids are small rocky celestial bodies found especially between the orbits of the planets Mars and Jupiter. Reddy, who has discovered 18 main belt asteroids, several binary asteroids (twin asteroids), and a supernova, “has built an international reputation for his ongoing research and discoveries,” according to a UND press release. Just how the 31-year-old graduate student braved skepticism, lack of funds, Indian bureaucratic red tape, and an Arizona monsoon and reached his goal with help from unexpected quarters is in itself quite a story. Perhaps it was the town he grew up in, Sriharikota, from where India launches its satellites, that triggered his imagination. Reddy had a passion for astronomy since childhood, which stayed with him even when he was a journalist with Asian Age daily in New Delhi. “I always wanted to do discovery kind of work,” he said. Around 2000, when Reddy was working in Delhi, University of Arizona astronomy expert Tom Gehrels came to give a talk at the local planetarium. After the talk, Reddy pressed Gehrels for an interview. During the conversation, Gehrels said that while hundreds and thousands of asteroids had been discovered, no Indians were part of it. “I said, ‘Tom, I am going to do this,’” Reddy recalled. Reddy got upset. “How can this guy just dismiss like a billion people?” he recalls thinking. His first hurdle was getting a proper telescope. The right telescope cost at least Rs. 1 million. He didn’t have that kind of money. “So what do you do? You go to the rich relatives,” he said. “Everybody in my family except me is a medical doctor.” Reddy’s two sisters and parents were doctors. Fortunately for Reddy, a sympathetic colleague at the Asian Age’s features department, Pratibha Kumar, was also interested in astronomy, and her father, a retired government official, offered financial support. “And then, all these random people in the U.S. helped me. There was a person from Southern California, he was a retired air force pilot, he bought the telescope for me, and then I managed to pay him back,” Reddy recalled. However, there was a catch. Indian customs slapped hefty import duties, and it was three years before Reddy could lay his hands on the telescope. Reddy was ready to throw in the towel. “I spent four years of my life doing this stuff, I can’t do it anymore. This is like crazy,” he recalls thinking. Fortunately, his Internet friends from the U.S. came to his rescue. A friend in Arizona told him that he didn’t use his observatory in July, so Reddy was welcome to use it then. No matter. He landed up in front of the U.S. embassy for a visa. It was 2001. “The visa officer really grilled the hell out of us,” he recalled. Reddy was asked detailed questions about font size, paper quality, comets and asteroids. Reddy finally arrived in the U.S., and was again overwhelmed by the support he got from people he met on the Internet. However, the observatory was in Arizona, quite some distance. How is he to search for an asteroid without clear skies? “I think I spent about 10 days. It was really, really hard. On July 4, 2002, I discovered my first asteroid.” Reddy named the first asteroid Bharat. The second asteroid he named North Dakota. He went on to discover 22 asteroids. After Reddy discovered his first asteroid, he went on to meet Tom Gehrels, the professor who had been dismissive of Indians ever discovering an asteroid. “The guy fell off out of his office chair,” Reddy recalled to India-West with a laugh. For Reddy, the long arduous journey towards discovering asteroids had a happy ending in more ways than one. Remember Pratibha Kumar, his colleague at the Asian Age who shared his interest in astronomy? Well, today she is his wife. Reddy is now training to be a professional astronomer. “I wanted to do something about asteroids that others were not doing,” he said. “For example, a lot of people discover asteroids. It’s no big deal for professionals. “One of the things that very few people were doing — and is very difficult to do — was studying the composition of asteroids, what are they made of. Lunar eclipse was observed today in India. It was the first lunar eclipse of the year. In India mythology lunar eclipses are thought to be a hugely important events, for they so suddenly reveal certain truths. They are non-negotiable too, so once you learn what you do, there's no going back. What's done is done. It is said that lunar eclipses are extremely powerful events and often bring on life-changing events. Eclipses are never subtle, but rather they shout their news. Another hallmark of an eclipse is that they move up timetables dramatically. No matter what you thought you'd do, you'll probably have to revise your scheme. THE vedas are considered to be the ultimate authority by the Hindus, much like the New Testament and the Quran by the Christians and Muslims, respectively. The Rigveda is generally believed to be the oldest of all the four Vedas. The Rishi Yaska applauds the Moon for its ability to reflect the sunlight as seen from the Earth (Nirukta 2.6), a fact duly reiterated by the Rishi Gotama, son of Rishi Rahugana (Rigveda 1.84.15). In those days, the Full Moon was referred to as Raka and the New Moon as Sinivali (Sayana Bhasya, and Rigveda 2.33.8). The cause of the eclipses is ascribed to a demon, called Svarbhanu, striking the Sun with darkness. When the gods could not discern the Sun (hidden as it was by darkness), they invoked Rishi Atri who repelled its darkness by chanting four Rik mantras (Rigveda 5.40.5-6) Before he could chant the four Riks, which must have taken at least 50 seconds, Atri must have had to be informed by his disciples or his sons about the sudden darkness that fell upon the Earth; in which case, the actual process must have lasted a few minutes--the typical duration of a total solar eclipse. In the ninth Rik of the same sukta, it is clearly mentioned that only the students and descendants of Atri knew how to dispel the sudden darkness which befell the Sun. It can perhaps be interpreted that only these people knew how to predict the duration of a total solar eclipse. One of the six Upavedas or Vedangas, namely the Vedanga Jyotisa, supposedly composed by Rishi Lagadha around 1300 B.C., makes no mention of the eclipse calculations, even though the concepts of astronomical time divisions are present in great detail. It is also to be noted that Rahu is nowhere mentioned in the Rig, Sama and Yajurveda. In the Atharvaveda, (13.2.16-18,28) the description of Ketu is more suited for what we today call a comet. In the primitive form of astrology, there was no place for Rahu and Ketu, in particular in the manner in which the division of the twelve houses among the five planets, the Sun and the Moon was conceived. However, Rahu has been earmarked for a quota of twelve years in the astottari dasa system, in addition to the quotas for the seven other regularly wandering celestial objects. In the Navagrahastotrom, supposedly composed by Vyasadeva, the description of Rahu fits quite well with that of its Pauranika version. However, the description of Ketu is more akin to that of a comet devouring stars as well as planets. No eclipse can come in the way of the stars and planets exclusively, except for the bodies themselves. It is suggested in the Mahabharata that during the 18- day long war between the Pandavas and Kauravas, there were only thirteen days between a Full Moon and a possible total solar eclipse presumed to have been seen over the battle field of Kuruksetra. Now, as we noted earlier, a similar condition was invoked in the Holy Quran for prophesying the return of Muhammad in the future. It is therefore, the expected rarity of such an event that must have been known to the authors of such holy scriptures. A sizable portion of the 35th chapter of the Bhagvata Purana is devoted to narrating a fable as to why Rahu and Ketu are responsible for all the solar and lunar eclipses. Initially, at some stage,the gods and the demons were engaged in a great war over a very long period. Lord Visnu persuaded both the gods and demons for a temporary peace so that the ocean in its entirety could be churned and both devas and the asuras could benefit from what the sea had to offer. The gods under the leadership of Indra grabbed the tail of the king of snakes, Vasuki, who was used as a rope for churning the ocean, while the demons under the leadership of Vali held the mouth of Vasuki. The great mountain Mandara acted as the churner. As a result of this churning, the first to come out was the terrible poison, halahala. It was voluntarily sucked in by the Lord Siva, but he held it in his throat, the reason why Siva is also known as Nilakantha. Then out came Surabhi, Kaustubha, Parijata, Laksmi, the Moon, Varuni (the goddess of wine). And finally emerged Dhanvanatari, the originator of medicine, with a pot of amritam, the nectar. The demons ran away with the pot. Lord Visnu acting in the interest of the gods transformed himself into Mohini, a beautiful woman. Dazzled by her beauty, the demons offered the pot to Mohini and asked her to distribute the nectar amongst themselves as she was found to be an appropriate person. Of course, she gave all the nectar to the gods. One of the demons, Rahu, saw through the trick and sat in the line in disguise, where the nectar was being distributed. But before he could swallow the divine nectar, the Sun and the Moon detected his masquerade and reported it to Lord Visnu, who then chopped off Rahu's head with his sudarsan cakra. Because Rahu had already drunk the nectar, he remained alive in spite of his being reduced to a trunkless body. Since then Rahu has not forgiven the Sun and the Moon. And this is the reason why, as has been depicted in the style of Pauranik description, every once in a while Rahu gobbles up the Sun or the Moon and we witness the solar and the lunar eclipses. Of course, being trunkless he cannot hold either the Sun or the Moon for long, and they come out safely after a while. With time the headless trunk of the demon came to be known as Ketu, and the earlier version of Ketu gracefully turned into what is known as Dhumketu. Since then, Rahu has become acceptable as the eighth planet, and in the astrological formulations, we find it in the astottari dasa system. Later on, another dasa system, called the vimsottai dasa system, was introduced which referred to nine ruling planets, the ninth being Ketu. Sometime in the third century A.D., the era of Siddhantas was ushered in. The Surya Siddhanta gives detailed methods for making ecliptic calculations. It was around this time that Rahu and Ketu were astronomically defined to be the ascending and the descending nodes of the lunar orbit, intersecting the plane of the Earth's orbit. The astronomical significance of Rahu and Ketu was reduced to mere imaginary points of intersection between the lunar orbit and the plane of the ecliptic. As we have noted earlier, evidence for observation of eclipses is found in the ancient Indian texts. A solar eclipse finds mention in the Mahabharata, where Lord Krisna skillfully uses his knowledge of eclipse predictions to save the life of Arjuna, the great warrior. The accuracy with which eclipses have been predicted is incredible. In the Indian almanacs, the time at which an eclipse begins, at which it peaks, and when its ends have all been given. This entire period of an eclipse is called the parvakala. Thorough prescriptions of the customs which an orthodox Hindu is supposed to observe on the eclipse days are given in the Manusmriti, Grahalaghava, Nirnaya Sindhu, and a number of similar textbooks including Atharvaveda. It is suggested that the inauspicious period actually begins about four praharas before a solar eclipse and three praharas before a lunar eclipse, (prahara being the unit of time equivalent to one-eighth of a day). Since food prepared during this period is not supposed to be consumed at any time, Hindus generally observe a fast. The water, clothes, food grains, etc., are sprinkled with the sacred tulasi leaves. People take a bath as soon as the eclipse begins and also perform rituals like tarpana, sraddha, homa, prarthana and give donations. After the eclipse is over, one is suppose to take a bath once again. To erase the unholy shadow of Rahu that has fallen on one and all and avoid its ill-effects, another bath is prescribed after the eclipse is over. However, married women are not allowed to wash their hair. On the other hand, it is believed that during an eclipse all the water becomes as pure as the water of the holy river Ganga. Any surging water (say, waterfall or a fountain) or water in the lakes, river and the seas is regarded as a good omen, its auspiciousness increasing in the above sequence. The more pious may go to some sacred place or to the nearest seashore for taking a holy bath. There is a strong belief that any donation given during the eclipse hours is most auspicious and valuables such as money, clothes, cows, horses, land and gold are to be gifted away. The very rich might weigh themselves against brass or copper utensils or even gold or silver, and the same amount is recommended for donation. During this period, circling around a cow giving birth to a calf is equivalent to walking (pradaksina) around the earth. If the death anniversary of the clan ancestors falls during this period, the rites are not performed in the usual way by feeding the Brahmanas; instead, the grahansraddha should be performed with ordinary or uncooked food or, more simply, by donating gold to the priest. Such rituals can be performed even at night as there are no restricted hours. This in itself is contrary to most of the conventional practices which are performed during the daytime, and shows to what extent our ancestors were awestruck by these celestial phenomena. It is believed that if the eclipse falls on the third, sixth, eleventh or tenth rasi house from the zodiacal sign of birth (solar or lunar, depending on the parts of India one belongs to), it is auspicious and brings good luck to the native; a solar eclipse falling on the second, seventh, ninth or the fifth place of the natal rasi is regarded as moderately auspicious; but if it falls on the fourth, eighth or twelfth place of the natal rasi, it is considered to be inauspicious and brings bad luck to the person born under these signs. Those whose birthdays fall on eclipse days should not look at the Sun, while others can look at the eclipsed Sun, but not directly. Such a person is permitted an indirect view of the eclipsed Sun, such as its mirror image from a pot full of pigmented water, or through a cloth. Besides these, there are injunctions against shaving, and cutting one's hair or nails on the eclipse day. This is also the day when no initiative or effort of profound consequence should be taken, and nor should students engage in serious studies. A short synopsis of the article appeared in deccan herald below. The famous event of the suns rays bathing the Shivalinga at the Gavi Gangadhareshwara temple takes place not just on January 14, but in the course of this week too, according to B S Shylaja. When you visit this famous temple, take a look at the two huge stone chakras; they mean something hitherto unknown, she explains. Several years ago I came across a book of paintings; running through its pages was like turning the pages of history, pictorially. The paintings were the creations of Daniell brothers, Thomas and William, who visited India during 1790- 94. One painting caught my attention. It was familiar. No other temple in India has such beautiful large stone discs. Yes, that was the famous Gavi Gangadhareshwara temple at the heart of Bangalore. This temple had earlier tickled me for another reason. That is Surya Majjana, the phenomenon of the sun’s rays making their way through the windows to shine on the Linga inside the cave. Why on a specific date? This question had me thinking. That there has to be another day in the year when this would happen again, bothered me constantly. My calculations gave me the dates too. I had been making desperate attempts to verify it for almost for six years. Then it happened a couple of years ago. A couple of acquaintances waited patiently every evening at the temple. The door would be open only if it was a Monday; otherwise one had to look through the window. All three of us managed to get a glimpse of the sunlight shining on the idol over a five-day stretch from November 26 to December 2. The fact that there is a second Surya Majjana was not known to many and unfortunately was not received very enthusiastically. We tried in 2007 again and got the dates confirmed. So now it is for any one of you to go to the temple and see the same Surya Majjana event that is slated for January 14. So, what is significance of these dates? It is a simple consequence of the apparent movement of the sun in the north- south direction. As is well known, there are four important dates in a yea. March 21 is the vernal equinox, the onset of spring and new year celebrations are all associated with it. Then, there’s June 22, marking the end of summer. The sun is in the northern-most position on this day, making it the longest day. Then begins the southward journey; so the day is aptly termed Dakshinayana. The day gets shorter thereafter. The duration of the day is equal to that of the night on September 22 . This day is called the autumnal equinox. The length of the day shrinks and reaches a minimum on December 22. That is the southernmost limit the sun can reach. His northward begins on this day called Uttarayana. Thus, except June 22 and December 22, for any other day the position of the sun is repeated on a second day. We had deduced the dates for the Surya majjana event of Gavi Gangadhareshwara temple on this premise. Unlike most of the temples, this one does not face the east or even the west. The orientation seemed intriguing and fixing the north-south directions was very tricky. I searched for ground plans – none existed. I prepared my own plan. Then it occurred to me that the two huge discs in front of the temple have a special significance. So my trips to the temple extended to other dates in the year. The discs are indeed special. Just as the entry to the cave marks the direction of the sun close to winter solstice, these two discs indicate the direction of the sun around summer solstice. By June 16, the shadow of the western disc started appearing on the wall behind the eastern disc. I sketched the scene and extrapolated the movement of the shadow to sunset because the trees blocked the sunlight. My calculations showed that if one can let unobstructed sunlight reach the discs, the shadow of the western disc would fall on the eastern disc. This happens only on June 22 and for a few days on either side of it. We also noticed that the shadow of the brass Dhwajasthambha falls exactly at the centre of the eastern disc about half an hour before sunset. Therefore this appears to be a unique cave temple designed for the purpose of marking solstices. Historians have mentioned only the January 14-event probably either because of the harvest festival associated with it or because the second set of dates was simply not known to them. Or was there any other reason? This is where the painting of Daniell gave me the clue. The two discs and the trident appear intact. The painting is dated 10 May, 1792. However, a careful analysis reveals some differences. Most importantly, there are no windows to let the sunlight for Surya Majjana. (There is a second painting of Hunter dated 1806; it does not provide this view.) The absence of Dhwajasthambha is very conspicuous. (The bronze cover is dated 1979). So is the small Mantapa which houses a Nandi. The gradual slope of the hillock is now converted into steps. Furthermore, there are three arch-like structures which are missing now. It appeared to me that in the last 200 years, some renovation has been done. The three arch-like structures then were enclosed inside a larger Mantapa. The two rows of pillars have a roof which is not part of the hillock. Thus the temple got a complete facelift. The idea of sun’s rays falling on the idol was perhaps known to the renovators. They took care to install windows so as to let the phenomenon continue. The terms Uttarayana and Makara Sankranthi were considered synonymous. Therefore the windows were aligned for Makara Sankranathi. Similarly the Dhwajasthambha was matched for summer solstice (Karkataka Sankranthi) and eventually forgotten. The second painting of Daniell provides the view of the surroundings. Two hundred years ago, the region was barren offering a clear view of the horizon. The place between temple and the gopura was perhaps a water drain. In the event of visibility of the horizon the discs serve a dual purpose, they mark the sunrise of winter solstice and sunset of summer solstice. WASHINGTON -- Astronomers this year are about to get a windfall of new and improved telescopes of unprecedented power with which to explore the universe. The bonanza arrives 400 years after Galileo spied craters on the moon through the world's first telescope. Instruments coming on line in 2009 will let researchers see farther and more clearly than ever - perhaps even detect signs of life on another planet or an asteroid swooping dangerously close to Earth. The telescopes will open new windows on the heavens by using different technologies and different wavelengths of light. 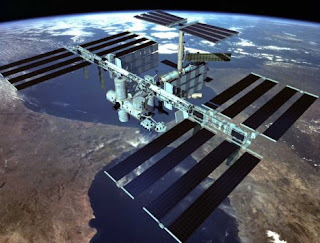 They'll be able to see things in the far ranges of ultraviolet, infrared or radio waves that are invisible in the narrow band of optical light. "This year's going to be huge," said Julianne Dalcanton, an astronomer at the University of Washington in Seattle. "The new capabilities are going to be absolutely fabulous." 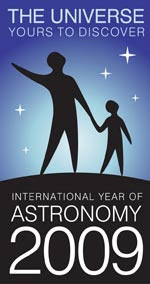 The International Astronomical Union, an organization of about 10,000 professional astronomers, has named 2009 the International Year of Astronomy. That's in honor of Galileo, who was accused of heresy by the Roman Catholic Church for insisting that the Earth moves around the sun. "In 2009, we would like everybody on Earth to think at least once about the wonders of the universe," said IAU President Catherine Cesarsky, a French astrophysicist. -A major upgrade of the 19-year-old Hubble Space Telescope, including two advanced detectors that will vastly improve its vision for another five years. -A bigger European rival to Hubble called the Herschel Space Observatory. -ALMA, an array of 50-plus telescopes on a lofty desert in Chile that will be the most powerful ground-based observation system to date. -Kepler, an orbiting telescope designed specifically to look for inhabitable planets around distant stars. -Pan-STARRS, a set of four interconnected telescopes to detect fast-moving hazardous objects, such as satellites or space rocks. -IceCube, an upside-down space particle observatory buried under the ice at the South Pole. -The Allen Telescope Array, a set of 42 of radio telescopes listening for extra-terrestrial messages from possible civilizations around another star. Waiting for future financing are even larger, more powerful machines, including two giant telescopes with light-collecting mirrors three to four times bigger than any existing telescope. The larger of the two, the 140-foot-wide European Extremely Large Telescope, could make pictures of clouds, mountains and seas on distant planets. It's now in the design stage, and construction might begin in 2010. Despite its huge size, it's a scaled-down version of a 330-foot Overwhelmingly Large (OWL) telescope that was canceled for technical and cost reasons. Another ground-based instrument, the Large Synoptic Survey Telescope (LSST) will take about 1,000 images of each spot in the entire sky over its lifetime. Taken together, the repeated images will produce color movies of celestial objects as they change or move, including potentially hazardous asteroids. The LSST can also trace changes in the expansion of the universe caused by the mysterious force known as dark energy. Work on the telescope mirror is under way, and it should start taking images in 2015. The James Webb Space Telescope, NASA's successor to Hubble, is under construction and scheduled for launch in 2013. Its main mirror, 21 feet in diameter, has to be folded up to fit in the launch vehicle, along with a sunshield that opens up to the size of a tennis court. JWST will orbit almost a million miles from Earth, where it will study the first stars and galaxies formed after the birth of the universe, 13.7 billion years ago. Unlike Hubble, JWST mostly will work in infrared light. The Hubble Space Telescope, which was launched in 1990, will get a new lease on life when NASA launches the fifth and final shuttle mission to repair and upgrade its aging instruments. The launch is scheduled for May 12. In addition, astronauts will install two devices - a Wide Field Camera and a Cosmic Origins Spectrograph - that will add fresh capabilities to the venerable Hubble. "We estimate that at the end of this repair, Hubble will be 90 times more powerful than when it was first launched," said Sandra Faber, an astronomer at the University of California, Santa Cruz. Dalcanton, the University of Washington astronomer, is especially excited by the new spectrograph, a device that can determine the chemical makeup of a star and the atmosphere of an alien planet. This information is usually more valuable to scientists than a pretty image. "An image tells us something's there," Dalcanton said. "Spectra tell us what kind of object it is, what it's made of, and does it have an atmosphere." On April 10, the European Space Agency is scheduled to launch the Herschel Space Observatory - a telescope that's bigger and more powerful than Hubble is. Herschel's main light-collecting mirror is 11.5 feet wide, one and a half times bigger than Hubble's, and the largest mirror ever deployed in space. Herschel will be parked 900,000 miles out in space, far beyond Hubble's 350-mile, low-earth orbit, and will observe mostly in the far-infrared range, which Hubble doesn't reach. Piggybacking on the same launch rocket with Herschel will be the Planck Satellite, a European telescope that will survey the cosmic background radiation left over from the birth of the universe in greater detail than ever before. Work is proceeding rapidly on the Atacama Large Millimeter Array - ALMA for short - an assembly of 66 huge antennas on the 16,500-foot-elevation Atacama desert in Chile. It's one of the coldest, driest places on Earth, which minimizes atmospheric interference. The first of its 100-ton antennas will be delivered to the site a year from now. Linked together by computers, they'll collect radiation from objects in the coldest, deepest regions of space with 10 times the resolution of Hubble. ALMA may be able to observe the formation of planets around other stars. This array of 42 radio antennas near Mount Lassen in northern California will begin in March collecting extremely faint radio signals from space. Its sponsors hope to make the first detection of intelligent life beyond the solar system. The search will concentrate on about 250,000 "promising target stars" near the center of the Milky Way galaxy, said Jill Tarter, director of the Center for SETI (Search for Extra-Terrestrial Intelligence) Research in Mountain View, Calif. Tarter, who's the real-life basis for the Jodie Foster character in the movie "Contact," has devoted her career to searching for alien civilizations. "At first we will give highest priority to target stars that are known to host exo-planetary systems," Tarter said. If more funds are found, the Allen array will be expanded to 350 antennas, hoping to catch a call from ET. The Kepler telescope, NASA's alien planet hunter, is scheduled for launch on March 5 into an orbit that will trail behind the Earth as it circles the sun. It will spend three and a half years precisely measuring the brightness of 100,000 stars in the Milky Way. Kepler will be looking for a slight dimming of a star's light - evidence that a planet is crossing in front of it. The change in brightness will let scientists determine the size and orbit of the planet, which will show whether it might be able to support life. It's the first mission specifically designed to detect Earth-like planets. This unusual telescope is nearing completion under the ice at the South Pole. Instead of looking up to the sky, IceCube looks down through Earth to detect high-energy cosmic particles called neutrinos, which are produced by exotic objects, such as black holes or galactic explosions, in deep space. Neutrinos are extremely hard to detect because they travel at almost the speed of light and can zip untouched through ordinary matter. When finished in 2011, IceCube will consist of 70 long "strings," each holding 60 light detectors, sunk in holes drilled a mile or more into the clear ice. The detectors will track neutrinos that have passed through the planet so scientists can determine their origin. So far, 52 detector strings have been installed. Researchers began collecting data in April 2008. A sensational, if unlikely, IceCube result would be the first strong evidence that the world contains extra dimensions - beyond the four familiar dimensions of space and time. Extra dimensions are a key part of "string theory," currently the most fashionable version of the physical laws that govern the universe. An array of four interconnected telescopes on a mountain in Maui, Hawaii, Pan-STARRS is designed to detect rapidly moving objects in space, such as satellites or asteroids. The first version, PS1, will begin scientific observations by May, and start regular scans of the entire sky in June or July. By taking two observations of a single region 20 to 30 minutes apart, unidentified objects can be tracked and their future positions plotted. "We're looking for things that go bump in the night," said Jim Heasley, an astronomer at the University of Hawaii.